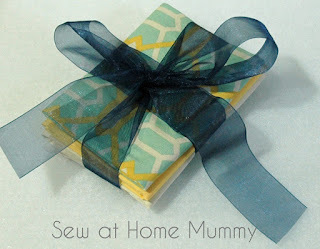 Sew at Home Mummy: meet: My Machine! Blog Hop Day 1! & giveaway! meet: My Machine! Blog Hop Day 1! & giveaway! 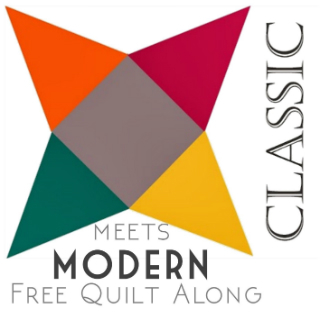 Welcome to day 1 of the "meet: My Machine" blog hop, hosted by yours truly and Stacey @ the Tilted Quilt! Make sure to visit the other hoppers on the list today and for the week! If you are interested in writing up a post about your machine and would like to share it, Stacey is hosting a link up party on her blog, HERE. If you'd like some ideas on what to write about, I've listed some HERE. Grab a button for your blog if you decide to post and link-up! Q. Please tell us about your sewing machine(s). How long have you had it/them? What do you love about it/them? Any critiques about the machine(s)? A. I currently own two machines. A vintage Brother from the late 70's (Pacesetter 3001XL), and a Singer Quantum Stylist 9960 (purchased last year, about $330?). Otherwise, this is a fantastic, work-horse machine. I've kept it oiled and serviced over the last 20 years and it still runs great. I've never had the honor of meeting another 3001XL - never found one online, never heard of one having her...so if by some chance there's someone out there today reading this and you have a sister to my Betsy, I'd love to see her! The Singer Quantum Stylist was a gift from my husband last year; I love this machine. It has all sorts of neat features which feel like a massive upgrade coming from an older machine - auto thread cutter, 600 stitches, drop-in bobbin, extra-high presser foot lift, snap on presser feet, needle threader, an LED lamp, needle auto-down, quilting table attachment and more. Came with like 20 different types of presser feet (uh, truth be told most of them I have no idea how to use or what the heckadoodles they're for). Lots of bells and whistles. So far, I haven't really had any mechanical issues with the machine. It's easy to use, easy to thread - that said, I did have to read the instruction manual when I first got it (but then again, I'm not a "plug and play" type of person - I read all instruction manuals before use...I'm a geek like that). The machine came with a 'case'. I say 'case' because in my eyes, it's not really a case - it's a slip-over hard cover. I'm used to having a fully-enclosing case for my Brother, one that you can throw a bunch of stuff in loose with the machine and not worry about it falling out. Not so with the Singer. I like the fact that accessories like presser feet are so easy to find for it, too. Q. What's your FAVORITE feature of your current machine? A. I have to say the thread cutter is my absolute favorite feature of it. I feel like I have to change my bobbin less often, and go through less thread overall. It's also drastically sped things up while piecing, with less string-mess surrounding the floor of my sewing machine. Q. Do you have any critiques or issues with your current machine? A. My critiques - there aren't very many, but the BIG one is the throat space. There isn't any. I can quilt up to a twin sized, but it's tight. And frustrating. And because it's so tight I'm pretty much limited to straight line quilting on the bigger projects. But, for piecing it's amazing. My other big critique would have to be the zipper foot that came with it - didn't like it; because it is a snap-on style, the adapter gets in the way while sewing, really limiting how closely you can so to the zipper. I ended up using the foot from my old Brother on it with better results. Q. Does your machine(s) have a name? What is it? Q. What's your favorite machine accessory or doo-dad? Q. If you could have any machine at all, let's say you win one for free tomorrow, what would it be? A. Oooohhh..... heheh. I've got two answers for this one. a 'Blackside' 15-91 isn't as easy to get a hold of, but, maybe one day if I'm lucky I'll own one. Q. Show us your sewing space! A. I'm lucky enough that we rent a flat with a basement portion, and I have an entire room to myself down there. Because I'm not working (due to Visa restrictions) we were on a tight budget when we were setting up my space. We ended up getting some of the furniture at Ikea, the rest were thrift store and hand-me-down finds. The tables I use are the ones you buy the tops and legs separate (Vika system); two tables with the legs cost me about $60. because they're quite light-weight, I've found that the tables bounce and vibrate quite a bit - I ended up purchasing another leg for each of the tables to attach to the center to give them a bit more stability. This has helped tremendously. My sewing space - batting design wall tacked behind my station, my latest achievement - my pixelated Brother, hanging from my spool rack; Bessy the dress-form from 1959 (she's pretty broken, poor old girl); my little tiny window; white boards for notes, numbers, and wishes. You can see the 5th legs I added to the center of each of the tables. There's a little alcove to the right of the door pictured above where I have my two bookshelves and a couple of wall mounted shelves. 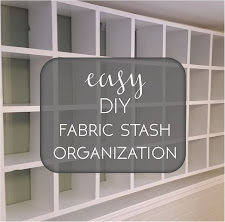 I would show you my stash on said shelves, but alas, I'm in the middle of painting the shelving I picked up at thrift stores, so the fabric is all in bins. Not exciting - Sorry! Q. If you could change anything about your space, what would it be? A. Oooh... that's a tough one. Since we rent, I can't really change much. One day, though, I'd like to paint all of the walls a high-gloss white so they would reflect more light. If I had my druthers, I'd add more overhead lighting, as I can't do much about my little window. I'm also working on some pretty curtains for my little window to brighten up the room and add a bit of color. 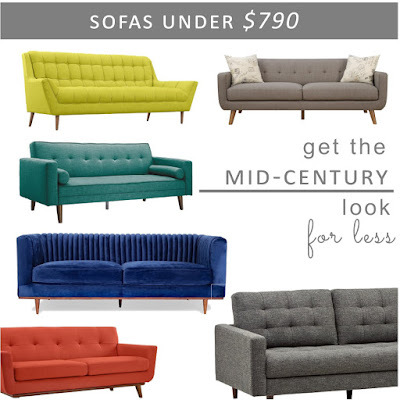 image above (left sidebar) and email me. And what would a blog-hop kick-off be without a little giveaway? I'm offering up a fat quarter of Joel Dewberry's Marquis in Jade (from Heirloom line) with a fat quarter each of Kona Bone and Kona Banana. Also included in each prize is a sample pack of English paper-piecing hexagons from the lovely PaperPieces.com! Leave me a comment telling me what kind of machine you create with and whether you own any vintage beauties! And, if by chance you decide to write your own post about your own machine and link it up with Stacey's Linky-Party, leave me another comment with the link to your post! If you're a no-reply blogger, make sure to leave your email in your comment... no way to contact you = you can't win! Contest closes March 22, 2013 at midnight CST. Winner announced shortly thereafter! I love your sewing space!!! You are so lucky to have an entire room dedicated to your sewing! I'm working on a Kijiji find! $30 bought me a Neiche 8470 and its incredible! Turns out - its an $800 machine and made of solid metal (read - HEAVY), so I scored quite the deal! I'm excited to read about everyone's machines because my birthday is next month and I need to drop some hints for my husband! Thanks for the opportunity to win! Beautiful fabric choices!! I work on a very simple Inger but love her as I an not scared of it and willing to use many of ts functions! Thanks or he chance to win. I use a 1930 Singer Treadle sewing machine that I was given about 30yrs ago by a friend who inherited it as part of his grannies estate, I use it everyday and it has never ever let me down. I own three sewing machines! I have a vintage feather weight from my great aunt. An Elna sewing machine from 1985. My last is a 2009 Bernina Aurora 440. Good morning....loved your post!! You new machine looks fantastic! I think you have a great space there too. I am going to try to link up; if I do, I will leave you a link later...thanks. Hi Erin. I enjoyed your post. I have 2 machines. I have my Grandmother's Singer featherweight that was manufactured in 1948 and I learned to sew on it. Still works great. My usual machine is the Bernina 440 QE. Took me a year to pay it off, but it is (hopefully) the last machine I will own. I had a Sears Kenmore that I paid a couple hundred dollars for back in about 1990, which my daughter has now. I have 2 husqvarnas - one is about 12 years old and the other is over 30 years! I also have my mum's beautiful vintage singer! heh heh I have now almost an old Viking Lily 535. goes like stink, I traded an old all metal blue NEC for this and never looked back. It isn't pricy enough to have a stitch regulator, threader, or thread cutter which was just introduced on better machines, budget restrictions abound! but I did get a cabinet to put I on and I just adore this machine. it has endless stitches and large throat area. I would like more light as I am getting old and need it! and I wish it would make coffee since that is about the only thing it doesn't do! I share a room with my computer equipment and have most of my stash in bins as I have a dust allergy. fabric speaks to me and then I have to sew it and most of it I give away to family, friends and neighbors. Kenmore which you will learn about soon! This will be so fun. On my blog WhataboutRheema.blogspot.com there is a tab called The Girls which shows some of my girls. There are two more featherweights (both being refinished), two model 15 type Japanese machines, a singer 1425N, and a Viking 855. I love them all for different reasons. I love your space, mine is soooo cluttered, my husband doesn't know how I can work in the tiny space, I am always looking for something and it is invariably at the bottom of the pile. I have 5 machines, if I get photos I'll do a post, from 1906 Singers, one treadle, one hand, one singer late 1950's 99/31 electric, one newhome, 1980's I think and a brother innovis 600 which is probably about 2/3 years old. I use all of them, except the treadle, which needs a belt. I own a vintage Pfaff 260 that used to be my grandmothers. I really love it! I have discovered recently that it does not like transparant tread, it keeps snapping. And that is the only thing I do not like about it.... Oh yeah it is super heavy too! When I was headed off for college in 1970, my Mom got me a Singer Fashion Mate 237,portable machine.It cost $70. I sewed many clothes, winter coats, and my wedding dress on that machine. when I got married, I picked up a cabinet for it at a garage sale. It has gone with me in all of my moves over the years. When I decided to learn to quilt last fall, it wouldn't stitch a bit, even though it had mended some jeans a couple of weeks prior to that. So I went on a new machine hunt and ended up with a Brother cs6000i. I really like it, have not done any quilting on it yet, just piecing. Just finished my 3rd block with Sugar Block of the Month with Amy Gibson. Great post Erin! I'm sewing on a Horizon 7700 which I purchased 2 years ago.I love your large sewing space! Mine is a very small room and I've crammed a lot into it. Lovely giveaway. Thanks. I love my Bernina for FMQ, my Janome for travel and Featherweight for piecing. I have a feather weight singer, love it. The Janome is. Delight and I have a few antique singers , a Pfaff hobby, and a very old and heavy ken more to refurbish. Such fun. Lovely post. Love your machines. I currently own a circa 1976 Singer Genie which goes to classes, etc with me as it is light and portable and a Pfaff creative 2 with an embroidery attachment. 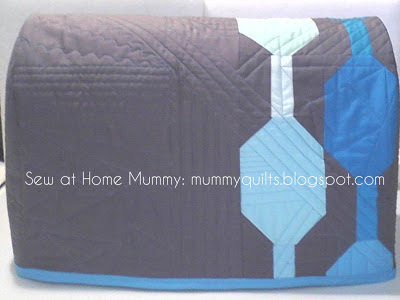 I love the pfaff for its versatility and its wide throat so I can quilt larger quilts in it. I love the Singer for its portability but I can't lower the feed dogs to quilt. I would love to "aquire" an old Singer feather-weight and / or a mid-long arm as well. Thanks for sharing and for the opportunity on your draw. I have a small Bernina 330. It's not very old but it became difficult to shove quilts through the small space for quilting. But when I bought it to get back into sewing I said that I "wasn't going to quilt...just do craft sewing". That didn't last. So this year my Christmas present was a Baby Lock Elegante which is a larger machine that also does embroidery giving me even more new skills to learn. I love that you are still able to use your mum's old machine! Wonderful!!! I have been eyeing the quantum stylist for months now. I have been saving money here and there for a new machine. Now you make me second guess because of the throat space. I use an vintage singer 301. It is just a straight stitch but it is so reliable and will sew through anything! Great start to the hop, I'll be sharing about my Horizon tomorrow. I do practically all my sewing on a Singer 19-51 and I love it!! It sews like a dream! The only machine I own is a Bernina 930. It was top of the line in the 1980's. I don't know how old makes it vintage. Anyway, I have her at the "spa" right now getting cleaned and oiled for many more hours of sewing bliss. I have 2 singers and a kenmore. I dont have any vintage machines but I sew with a Bernina 1630 that I got from my MIL as a hand me down. I love it and hope that it stays with me for a long time. One small Kenmore here which does the job without a lot of flourish. Until I become a better quilter it suits me fine. What I appreciate about it the most is how reliable it is. I bought a Singer Confidence Quilter a few years ago. It has a nice quilting table and it has served my needs. 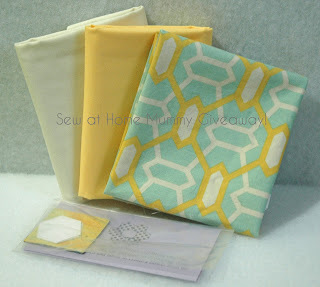 Recently I put together a wish list and forked out for a Janome 3160. Not much of an upgrade but it has a thread cutter (which I love) and is really quiet. I still have to get a few more feet before it can be my main machine. My husband bought me a Featherweight for our wedding anniversary last year, and have found that it is really great to piece with. I also have a Husqvarna and a Bernina. Both of these have hand-free systems on it, and I love that feature. My main sewing machine for piecing is a Bernina 440 QE. I also own a Pfaff Quilt Expression 2.0 for quilting and a Janome 3160 QDC for taking to classes. I know, I'm lucky to have three great machines! I'm hoping to add a blog post to the list later this week. I'm so glad I found your blog through the blog hop! Thanks for sharing yours. I have a Bernina that is about 18 years old (I remember because I bought it when my son was a baby), a Pfaff that I bought when I lived in Germany, a Brother, a serger (Bernina? ), and a Singer from the 1920's. It sits in a beautiful case. Thanks for the giveaway! I have a Singer Quantum Quilter. I am having a few issues with it recently and need to take it in for service, but I just so hate to be without it for a few weeks so I have been putting it off. I had an older singer before this and loved it, but got convinced I needed more stitches/designs so traded it in on this. I never use the fancy stitches and wish I still had my old one. I learned to sew on my mom's 1930 Singer machine with a knee treadle. Straight stitches, but that was all I needed. I still have it, but don't use it. It ran on electricity and my 93 year old aunt wouldn't use it because of that. I wish my mom had kept my aunts non-electric foot treadle machine, but alas, it is gone. I am a prek teacher of students with special needs and we had 4 children in 7 years (I identify with Amy Gibson). 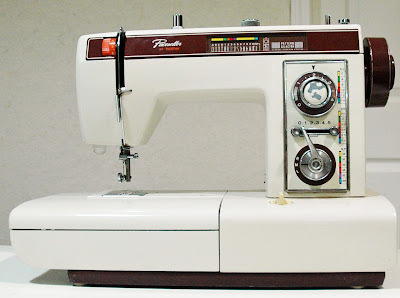 My machine was always up and calling to me as I'd sew 'a-seam-a-night' in those days before falling asleep. Now, with children grown, I have plenty of time and amazingly energy to sew on my Janome DC3018-a basic low-end line but I love it. We have made some beautiful projects together. Someday I hope to have an embroidery machine or even a Babylock. . . sigh. . a longarm? Dare I dream?? I discovered Craftsy.com and have fallen in love with the platform, the teachers, and the projects. 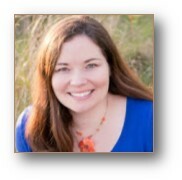 I feel like I know Amy Gibson and Leah Day through the lessons and blogs and hope someday to meet them in person. I admire how much Amy accomplishes with her 4 widits under 7, her great approach to share ideas and communicate techniques with us. 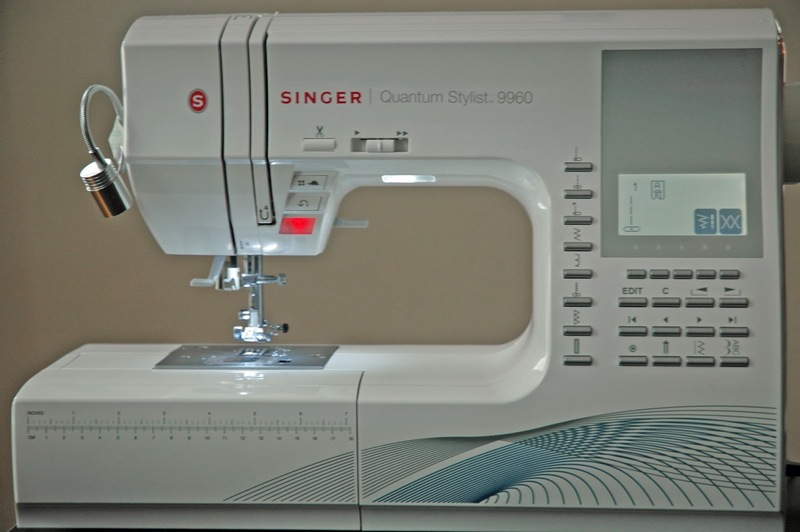 I am a new quilter and didn't want to spend alot of money on a sewing machine so I purchased a Brother CS6000i from Walmart. It is a good machine but it didn't take long before I realized I need to upgrade. 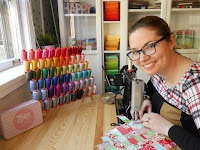 I am definitely going to follow this blog hop so I can get some ideas.....would love to own a Featherweight. My mother has a very old Singer (not sure if it is vintage) that I hope to bring home with me when I visit this summer. Love hexagons and adore your hexagon Christmas stockings. I mostly use the Berninas and the Nolting:) Forget about teh Featherweight but will start sewing with it more. I have a Bernina 440QE, which I love. Thanks for sharing & thanks for the chance to win. Hi, I really enjoyed your post. I use a Babylock Quilters Dream and really like it. Thanks for the chance to win. I have a Singer Confidence Quilter! I am sewing on a Brother 6000i and am quite happy with it although I am thinking about a Brother Project Runway machine. Until recently I owned a Featherweight Singer from 1951. It was my mother's machine but I passed it on to my daughter-in-law and granddaughter. It will be a perfect machine for her to learn to sew. It has the original case and manual along with a zig zag attachment! It is just a great workhorse. I own ,hmm last count 15 machines most not in use just for display purposes and yes many vintage. As for those I use that would be a Piaff7550 and a Bernina 440QE , love them both and use them for different purposes . Loved reading your post. http://heartofcharnwood.blogspot.co.uk/2013/03/meet-my-machine-hoppety-birthday.html If i won everyone would think it was a fix, oh well, I'm in now! I use a newer Janome DC2011 and still have my first machine. It's a 20 plus year old Singer. My Mom gave it to me when I went to college. Definite work horse. Oh, dream machines: Any Bernina :) and either a Juki TL2010q or similar Janome model. I have a Janome dc 2011, Janome mc 6500 brother 281 and 3emboidery machines a singer, brother and a disney small one which is a little work horse. I have a quilting machine on a 13 foot table that gammill came out with about 18 years ago which is a commercial Singer that they transformed into a quilting machine. You can only do rows of quilting lines but you can quilt up a king size quilt in no time. I also have the same Singer commercial machine that I sew on when I am not doing small pieces because it is so fast and has nothing but straight stitching on it. Thanks for the giveaway. I am a Singer sewing girl too - I have an older treadle machine and got a newer model last year (a 160) but still prefer my 20 year old one to sew with on a daily basis. i have a janome that i have had a few months and an old kenmore that my sister gave me 10 years ago. Erin, I have a Kenmore that I inherited from my mother that I use for most of my every day sewing. I also have a Singer that my husband bought me for Christmas - a gesture that made me cry. The feed-dogs on this one drop, so I use it for quilting more. I use 2 janome machines as my everyday machines. I also have an apqs longarm. I currently use a Janome Heart Truth which does the job, but I would love something with a bigger neck. My mother-in-law gave me her old machine so I have a back-up. It is an avocado green Singer. I think you could consider that vintage...or at least the color of it. I use a White sewing machine that I have had for about 36-37 years. Mom has a Pfaff that she has had for 54 years that I am thinking about have it serviced and using it. 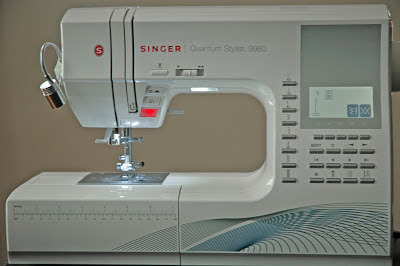 I have a Brother SE-270D and I loved it for the longest time, but she is not that great for FMQ because the throat is super short. I also have the Vintage Singer 15-91 Blackside that you adore :) I found it at a flee market, but she is in dire need of some serious TLC. I love your sewing space, I wish I had a whole room just for my sewing stuff! My newest machine is a Brother SQ9050. I also recently acquired a Singer 15-110 which I just starting to use. I have a Bernina Record 730 which was wonderful but now it needs a new motor which I am on the hunt for. I use a Viking Platnium 750 and also have two singer featherweights. Thanks for sharing about your machines. I currently sew on a Janome 6600 Memory Craft and just love it! It has a wider space for machine quilting. I have been expanding my free motion quilting skills this year! Before Janome, I sewed for 24 years on my Viking 990, one of the first electronic machines. It sews anything but did not do free motion quilting well...thus the Janome purchase. I have a 1970's Sears Kenmore that does, zigzag, straight stitch, and stretch stitch. My first machine purchased for me by my mother as a wedding present. You just cannot beat these machines!! I have my mother's Singer Touch and Sew with all the cams, vintage early 60's. My sewing machine service guy says, "they just don't make them like this one anymore!" It is in a nice teakwood cabinet. I sewed all my clothes in high school on it as well as my Mom sewed my bridal gown on it. She was a very talented seamstress!! I would love to have a light protable for classes. I have a 70s/80s Singer Merritt (currently in the shop) which belonged to my grandmother, a 60's/70's Singer which was made/sold for Home Ec classes (which I use the most), a mini Janome for traveling, and a new Juki that I'm still learning to use! My machine is a Janome Memory Craft 6300 I purchased about 6 months ago. I love it but haven't had time to test out all the stitches yet. HI wonderful right up about your machines thanks for sharing. 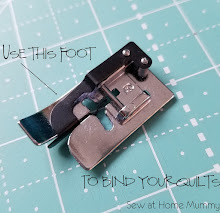 Is titch on a Janome Professionsl memory craft 6500 and I absolutely love it..I love the fact that is has an automatic thread cutter, needle down, knee lift, oh just love all of it. Yes I have a singer vintage 1925 model that has a locked case and all and it does a beautiful straight stitch. Have a great night. Great to read about your two machines. 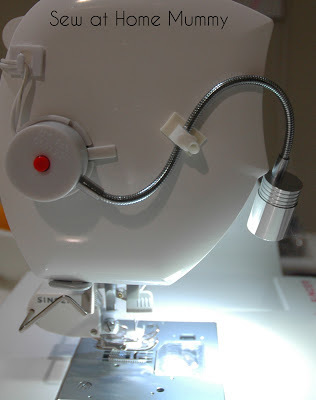 I sew on a Janome MC 6600P & I love it! My favourite features are the large throat space & the acu-feed sewing feet. I own a 1949 Singer Featherweight which I use to take with me on retreats. I just purchased a new Janome Horizon 8900 at the Dallas Quilt Show. Love It!!! I got to use it for the first time yesterday. I love your sewing space. I have 2 berninas. I use one only for embroidery. I have a vintage machine but I have never used it. I just needed a table to put stuff on and it happens to have a machine in it. How lovely. I enjoyed reading about you and your machines! 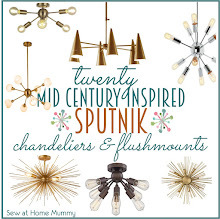 I also wrote a blog this a.m. to link up! I sew on an 820 Bernina and I also have an old Minimatic! I sew with the Pfaff 1030 I got for my 18 th birthday, my mum would not hand me down her 70s one. I sew regularly on a new brother machine XL 3750, but my first true love is a 1951 Singer Featherweight passed down to me from my mother. Its so pretty! Santa brought me a new brother CS6000l for Christmas! Still getting used to all the new features compared to my retro baby blue Kenmore machine, Spike! I LOVE my Bernina 430, it does everything that i need it too! I have a Viking Husqvarna Emerald. he's my first machine (I say he because he's temperamental - got to be a bloke) and I do love him but he is lacking in so many areas! My MIL has promised me the in-table old treadle Jones she has, it works but not sure I'll be able to use it! I FMQ on a Juki and piece on it and my Bernina 1080 which is almost 20 years old. I also have a machine I call the green beauty which is a 1950's Japanees Singer clone and a Singer 201 both that I got at Goodwill. Up until my birthday last May I only had vintage Singers (don't ask how many LOL!) and now I also have a Janome Horizon on which I do most of my FMQ and ditch stitching. I learned FMQ on a 1942 Singer 15-91 partial blackside and LOVE that machine! Also have a Centennial 201A, a 1952 Featherweight and a 1950s 301A that are used alternately for piecing projects. I hope you get your 15-91 because they are wonderful for FMQ. I have two more in a closet but they both need rewiring before I re-home them. 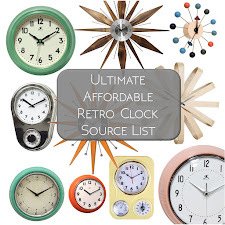 Nearly all my vintage machines were bought at yard or estate sales, or from thrift stores. 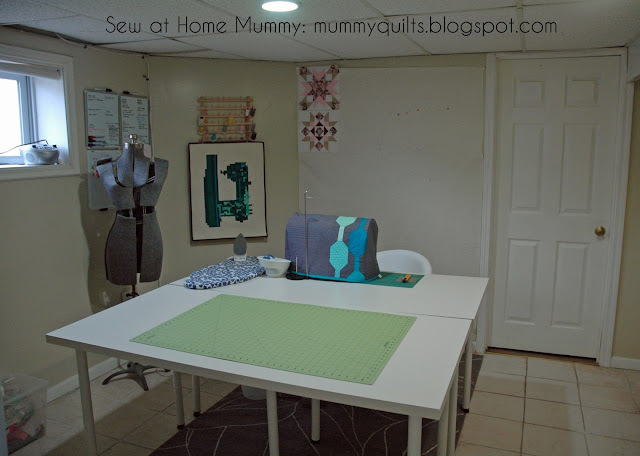 Love your basement sewing space, I sew in the basement, too! 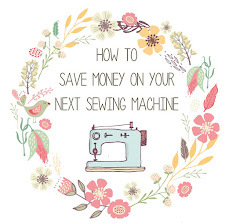 I'm keeping my eyes open for a class 15 sewing machine for you! I sew with a Janome which I love. If I were to change it I'd certainly go for another Janome. The new ones are very tempting! I have a Singer Blackside 15-91! It was my Grandmothers and was given to me when she passed away. It is very "well loved" but still beautiful, if that maes sense. As far as my other machines go, I just recently purchased my first new machine after using a tiny baby blue Kenmore Mini Ultra for the past 12 years. I don't know why I hung on to that thing for so long. I sewed several quilts and various other things on it and the size of the machine made it SO much more difficult than it needed to be! For Christmas I got the Singer Confidence Quilter and I am loving it so far! I sew with an Elna. For backup I have my Kenmore that is 35 years old. I wish I had a featherweight. SO great reading and seeing everything, I just have a basic Singer that my mom bought me and so far no problems. 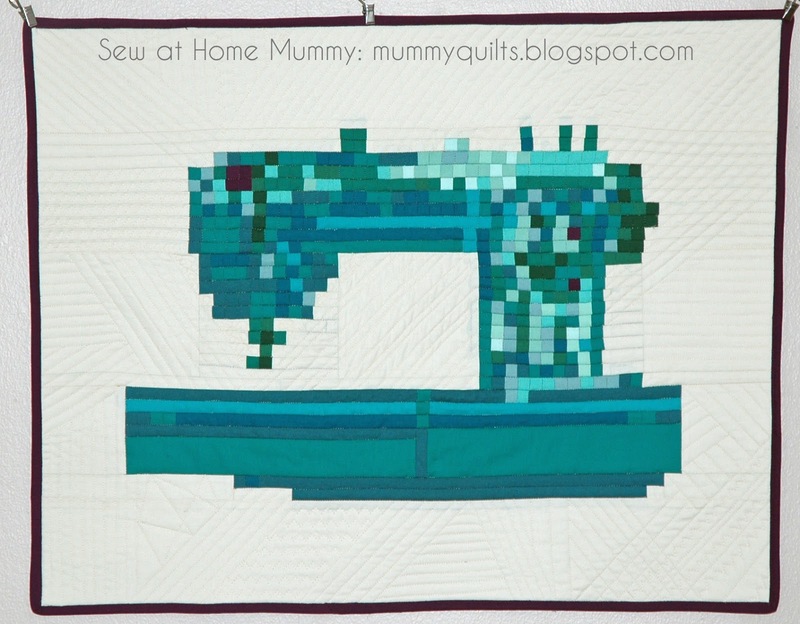 I sew on a hand-me-down Janome Memory Craft 9000 that my MIL gave me when she upgraded. It's an old machine and not made anymore but it is fabulous. Well, I have quite a few machines. My main machine is a Bernina 440QE, which I use for all my quilting. I also have a 1949 Singer Featherweight, a 1960's Kenmore, and 3 1970's Singers. I am on the hunt now for a Singer treadle machine to add to my collection. No vintage machines for me... I have 2 wonderful Juki's that I bought in January - a TL2010Q (quilting & some piecing) and a F600 (piecing & everything else). Plus my Pfaff Quiltstyle which is now a backup/special assignment machine. What a great post and giveaway! I have a couple 15-91's that I use for all of my quilting and FMQ! I own a Janome 2212, it's a pretty basic machine, and I love it. I've had it for a little more than a year now (it's my hubby's christmas present 2011) and it's been working great for me. I am hoping to upgrade eventually, I like the machines that do embroidery too. My nana had a vintage sewing machine and it's still working back home (Philippines). It's a sewrite sewing machine table and I'd love to ship it to the US for me to use since no one's using it anymore. Thanks for the chance to win! I have a Silver 20HD (very similar to the Babylock Quest (discontinued) but I also have my Grandmothers Singer 99k. She's in need of a good service, because she skips stitches like crazy. My vintage sewing machine is a Singer Featherweight - little black one in the little black suitcase/box. My newer machine a Sears Kenmore - a model that was manufactured for only one year in the mid 1970's. I made a wedding dress on it, among other things. For at-home quilting, I'm wishing for the "George" sit-down, mid-arm machine from APQS, mostly because of the size of the throat. But I think I need to finish some quilt tops (rather than just buying quilting fabric) before I can even begin to justify the expense. I wish I'd kept my mom's old White machine, but when you move every couple years, stuff gets too cumbersome! Now I'm sewing on a new Pfaff, and I'm enjoying the even stitching, the ease of buttonholes, and lots of space for FMQ. I create on my Viking Interlude 445. Wish the throat had more room, but I make due. Still have my Kenmore 774 that I bought after high school with money saved from my after-school job. It is a workhorse. I work on a Husqvarna Lily 540 and I have my Nana's Singer Featherweight. Recently through eBay and Kijiji I picked up 2 Singer 301's. I have a Janome Horizon 7700. My lovely husband bought it for my for Valentine's day last year. I love it. I have a Bernina 230. I love it, despite all the issues - well only two really - small throat, not enough embroidery options. I also have an older Singer that I love but it needs repairs that just aren't available where I live. Perhaps one day I'll take it outside and get it fixed. I have a newish Singer that I bought originally when my older Singer became unusable, and then I later replaced it with the Bernina. I keep the newish Singer as a back up machine. However I also recently acquired my mother's old Singer - a featherweight - and it is so lovely. So I may give the newish Singer to my daughter. Still deciding, but I did tell her she could have it on long term loan for now. I bought my sewing machine tote for $25 on black Friday from WM! 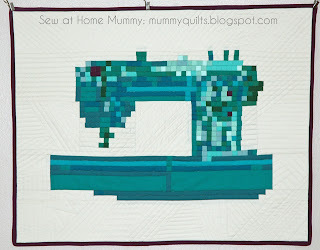 I do all of my hand piecing on a hand crank sewing machine! I love it! I sew on a Bernina 440QE. I also have a Singer Featherweight, Excellent blog! Great post Erin! I totally forgot to mention how much I love having a thread cutter on my new machine in my post. I also noticed that the foot pedal is finicky. You have to have nano-weighted accuracy to get it to sew slowly. I've laos noticed that it's a bit finicky and has a tendency to nest, any tips on how to prevent that from happening? Sorry Christine, I couldn't email you - you're a no-reply blogger. I'm not sure how to help you, I've never had the problem - but maybe try googling it? I have a relative to your machine I inherited from my grandmother. It is a little bit older, I think, because I have fewer stitch options, but it is branded as an Atlas model 527, which looks exactly like the Brother Pacesetter 604. I got it out for the first time yesterday, and was trying to find out more about the machine. Google images led me to you! That is too cool, Kristen! I hope you have fun with your machine. I love mine. It's such a workshorse!